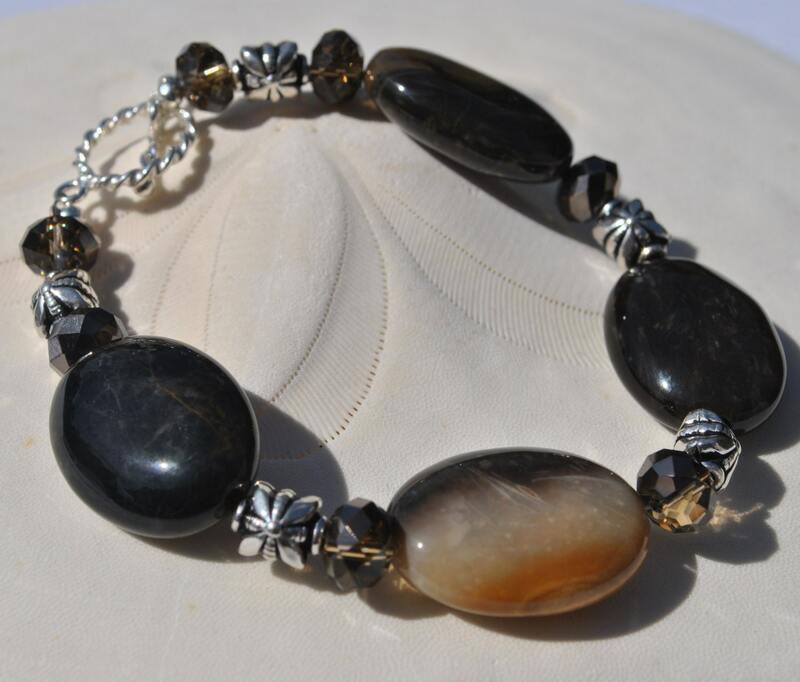 Petrified Wood Chocolate Brown Bracelet with mocha crystals, Bali sterling silver beads and toggle clasp. 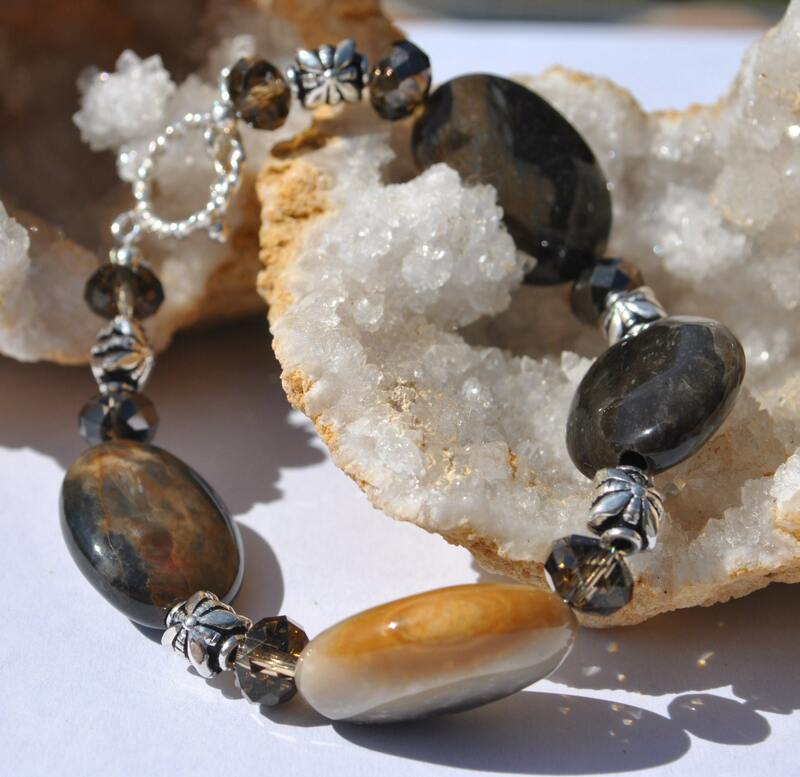 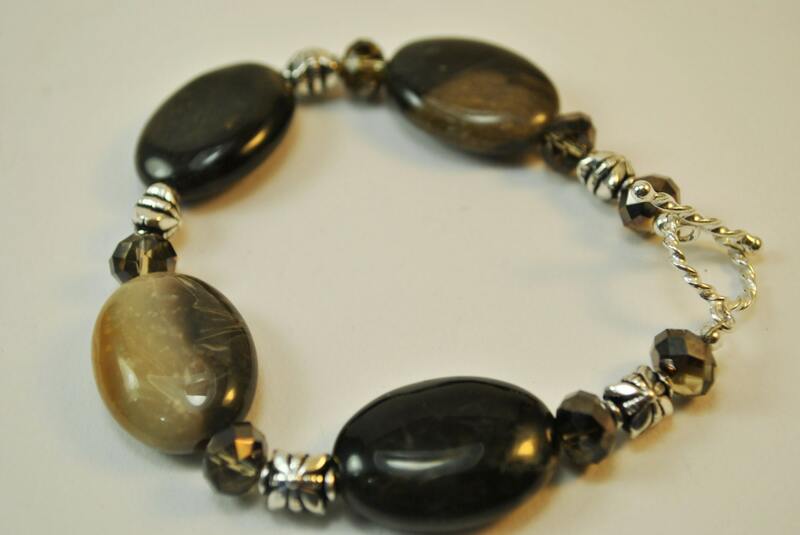 Genuine Petrified Wood Chocolate Brown Bracelet with mocha crystals, Bali sterling silver beads and toggle clasp. 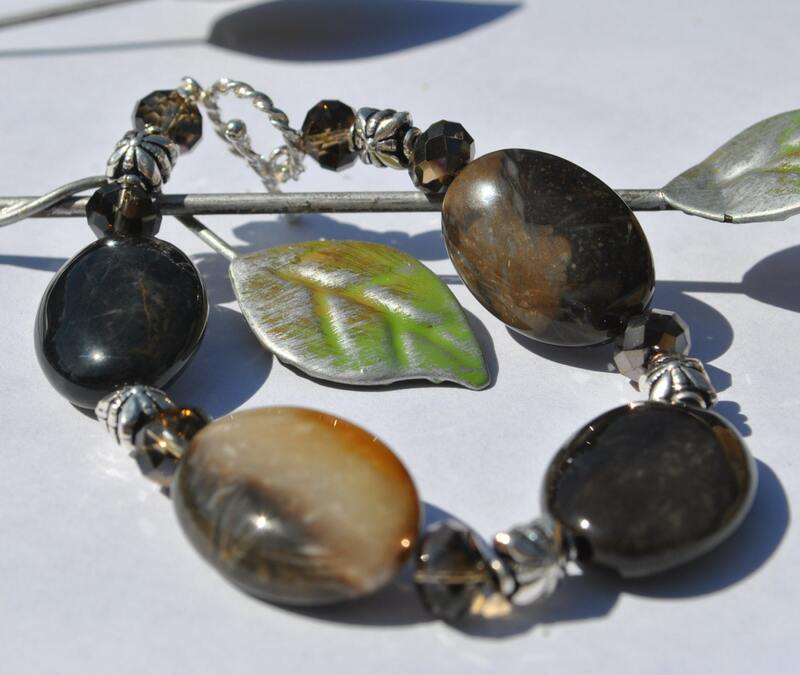 These highly polished oval stones have a variation of color to them due the nature of the stones.